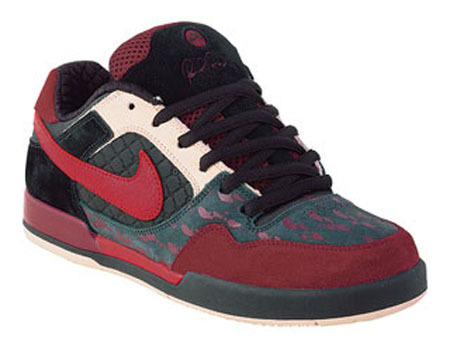 A new pair of the Nike P-Rod IIs has just been released which features a “St. Valentine’s Day Massacre” like design. Black and Dark Red are the two main colors used for the P-Rod II and there are blood spots on the toe box and at the middle of the shoe. Available now at CCS for $89.99. Yeah Jman…..u right…….so hey does ANYONE know what's up with the Freddy's…..I wanted them joints bad. Last I heard the movie labels killed the original so the redesign was done to appease them. But wtf up now? These P-rods r cool, tho. 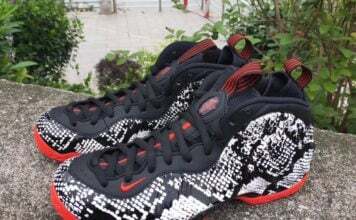 Wouldnt copp em personally. st-valentines day marketed to emo skaters?